Protect Yourself from Nasty Diseases with Insect Screens - Longhorn - Screens. Shades. Shutters. This winter you can prepare to protect your family with quality insect screens. You know what that means—barbecues, fireworks, watermelon…and those universally disliked mosquitoes. Those itchy bumps created by their bites can drive you to the brink of insanity. While these swarming little pests are frustrating, they are more than just a minor irritation. In some cases, they can be downright dangerous. According to the World Health Organization, mosquito-borne illnesses kill millions every year. They can carry Zika, West Nile virus, and much more. Let’s look at the effects of just a couple of the illnesses that mosquitoes carry. The Zika virus, which has been very much in the news over the past few years, can lead to a birth defect known as microcephaly, a condition where a baby’s head is significantly smaller than it should be. The Centers for Disease Control and Prevention report that a condition known as congenital Zika syndrome can cause brain damage, eye damage, and clubfoot. Therefore, if you’re planning on becoming pregnant, it is a good idea to take every precaution possible to protect yourself from mosquitoes. West Nile virus is another nasty mosquito-borne illness that has infiltrated the United States. According to an article issued by the Mayo Clinic, although most people who contract West Nile don’t show any symptoms, in some patients it can lead to life-threatening conditions such as severe neurological infection. This can in turn cause extreme symptoms such as seizures and partial paralysis. While this is rare, it’s certainly not a risk that you want to take. Given that mosquitoes present such a big health risk, it’s a good idea to invest in a good insect screen to keep them out. Are you looking into the possibility of having a screen installed? 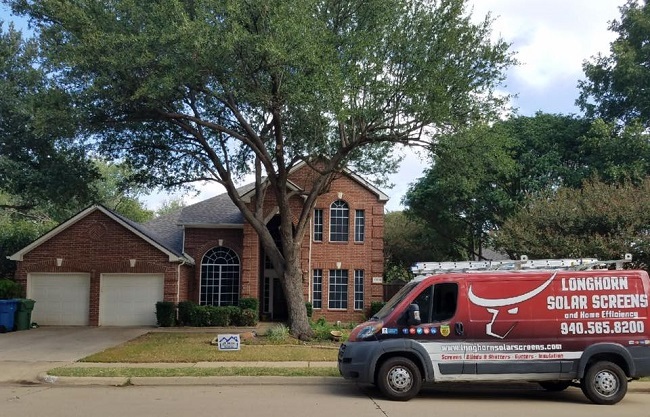 Here at Longhorn, we take pride in helping to protect your family with quality insect screens. Feel free to contact us for more information on the screens that we offer!